How To Choose The Best Video Surveillance System | Calgary Alarm Inc.
Quality, strategically positioned video surveillance cameras can help you catch intruders in the act, or deter them and keep the crime from ever happening. Installing a video surveillance system is a smart investment, whether it is intended to protect your own resources or to provide peace of mind to your customers . Below are some of the things to consider when choosing a surveillance system. 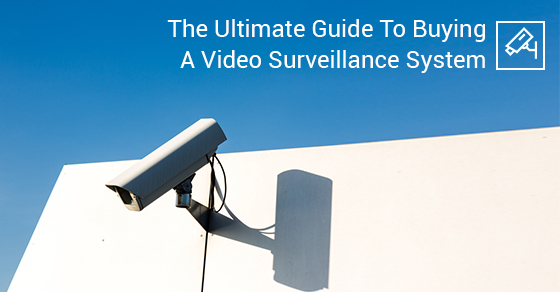 The success of your video surveillance system largely depends on choosing the right cameras. There are different types of cameras available with a variety of features. The cameras you choose will depend on whether they will be used indoors or outdoors; whether you want them to act as a visual deterrent or to be discreet; and the camera shape that appeals to you. PTZ – They are extremely versatile, with pan (left/right movement), tilt (up/down movement), and zoom (in/out) capabilities. They can also rotate 360-degrees and view directly down. They can be used indoors and outdoors. Box – They carry their own power supply unit, and are mostly used indoors. A housing is required for outdoor use. Mini Dome – They are great for discreet indoor and outdoor use, and are vandal resistant. Bullet – They come with infrared lighting, and are great for indoor and outdoor use. The size of clear image that a camera can capture depends on the focal length of the lens. Cameras with a short focal length lens have a larger field of view, whereas those with a long focal length tend to magnify a scene for more detail, decreasing the field of view. The choice depends on the size of area you want to view with each camera. This is the measure of noticeable detail in a specific image. Higher resolution cameras (1080p) offer more clarity and a higher quality image. A short focal length lens camera with a high resolution can allow you to view the license plates, faces, and other things in more detail in the entire area. However, the files will also be much larger in size. Cameras with long focal length lenses don’t require very high resolution. There are different technologies that allow you to capture usable video regardless of the lighting conditions, including Infrared LED Illumination, Digital Slow Shutter, Digital Noise Reduction, and Day/Night movable IR filter technology. It is not just important to have the best video surveillance system in place, you should also re-evaluate your entire security system frequently. A thorough assessment will ensure that any repairs and gaps in the security system are addressed promptly before any security breach. There are new technologies arising all the time, so staying up-to-date on security trends will also allow you to take advantage of the newest products. This way, you can stay ahead of potential criminals.